I signed up for the Marine Corps Marathon a few weeks ago. The race takes place in October and I'd like to a) break 3 hours, b) qualify for Boston (i.e., sub-3:05), or c) beat my current PR of 3:15. 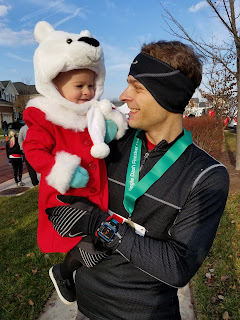 I was disappointed that I couldn't break through on my last marathon with Hanson's Marathon Method, even though I hit every single segment of every single workout for the entire 18 week program. 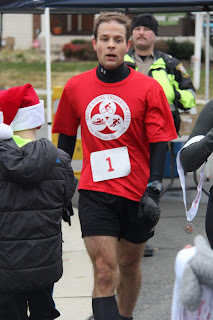 I still bonked right around mile 18. That's the second time I've used Hanson's method, and while my results were much better the second time around, I feel the need to change it up. This is an odd post, but bear with me. Sometime in 2016, my boss was doing Invisalign and it seemed pretty neat, so when my dentist suggested I should see their in-house orthodontist for a free evaluation, I took them up on their offer. The cost of Invisalign was a lot more than I was willing to spend for on my vanity, and even conventional metal braces were a magnitude more expensive than I wanted. I shelved that project and put it out of my mind until 2018 when I saw an article on Techcrunch for Candid Co., which is essentially a mail order version of Invisalign for prices that were advertised for less than a third of what traditional metal braces cost. I was intrigued and saw that there was a competing service called Smile Direct Club which offered basically the same thing for about the same cost. Since my son was born in June, my training regime hasn't been training so much as exercising. The lack of regular sleep makes it really difficult to get in planned sessions, especially of any significant length, so I take what I can get when I can get it. Having a treadmill and bike trainer make that about 1000% easier, but still not perfect. Sleep is one of those things, like having a good commute, that you take for granted while you're getting it, but as soon as it goes away, everything is terrible. My son is now almost five months old, and sleep has been a thing. This post was actually a draft that I made shortly after my son was born in June. It was only one line, so not really even a draft, but it was interesting to see some activity on here since Bub was born. Honestly, this blog, with it's ~30 page views per day, is not exactly at the top of my mind as I wake up at 4am for the day to placate my son to allow my wife to get a few extra hours of sleep (this isn't common, but give me some poetic license here). Wow, it's been a long time since I've been here. I hope my absence has not spurned you web-crawlers that are hopefully indexing this site and bringing it to a larger audience. But, I've been busy! Since the Jingle Dash 10k, I've started up my Hanson's Marathon Training Plan again. This time I am doing the entire plan and I'm not subbing out rides and swims for easy runs. I'm running all of those miles, shoes be damned.